Welcome to week 10 of the Crypto Alert of the Week series by AMLT, a series dedicated to documenting interesting or high profile frauds/hacks etc that recently happened and have been reported into the AMLT Network and show how the AMLT Network can help track and prevent it in the future. 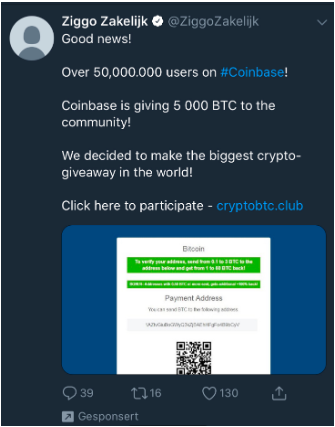 In this series we’ve already documented multiple cases where Twitter has been a central point of unique types of identity theft, phishing, and various types of fraud. 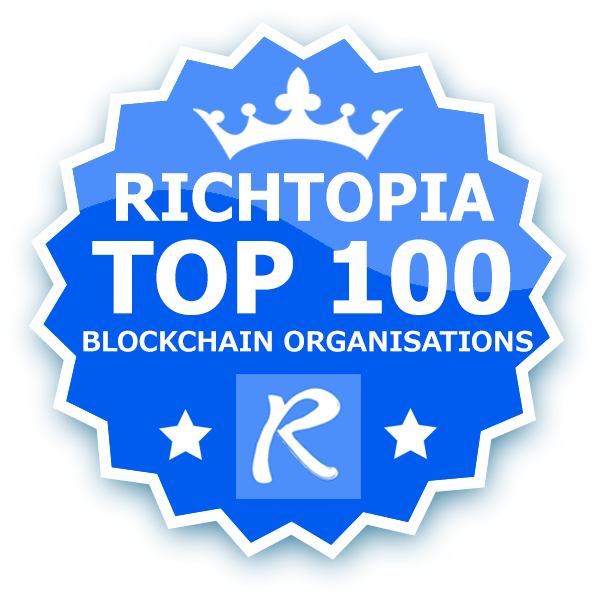 You can find our previous Alerts here. 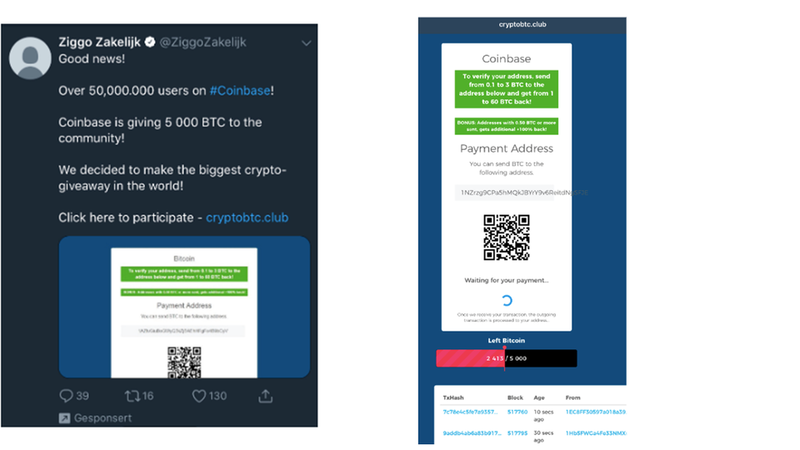 Reported to us by an AMLT Network Member, this one is particularly interesting as here is a new type of scam going on Twitter right now that is using “legitimate” twitter ads coupled with major cryptocurrency brands such as Coinbase to use the legitimacy of these brands and gain more attention. Above you can also see the payment gateway leading to the address to pay in. Obviously your funds will not be returned. 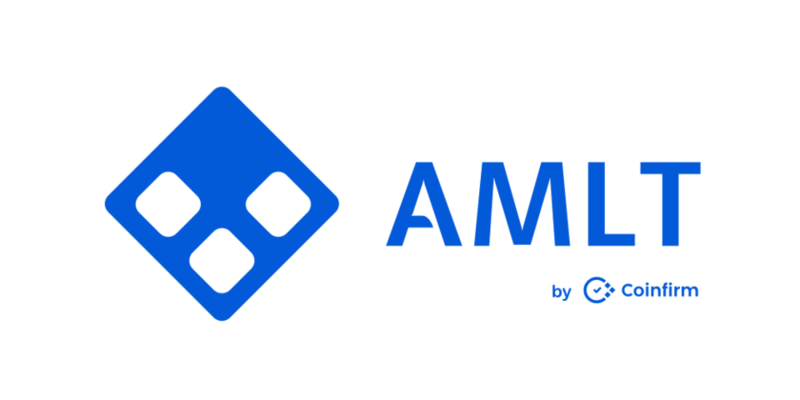 The Network Member who provided the data provided the address along with the above screenshots and appropriate flags in the AMLT Network Panel. After being analyzed for correctness the data was implemented into the Coinfirm AML Platform, allowing any entity using the Platform to now see where the funds potentially entering their exchange or ecosystem come from and freeze or return them as necessary. 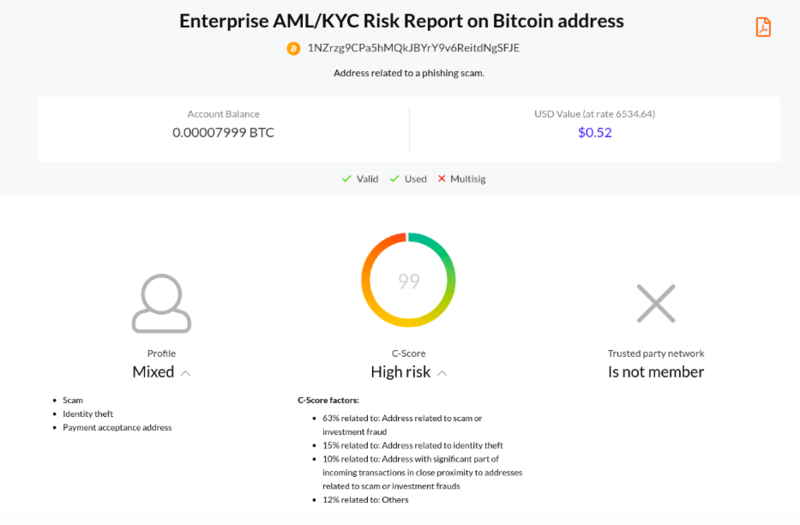 Below you can see how the address is now reflected in the Coinfirm AML Risk Report with new identifiers, elevated risk rating and the appropriate flags (flags not visible). A global Network such as AMLT coupled with the Coinfirm AML Platform can not only prevent these actors from being able to use the funds but also help remove their initial incentive to do the action in the first place. In case you don't see the AML risk report below click here.